The step, if implemented, will ensure hassle-free auctions of the mines besides facilitating seamless change in ownership. “Environment and forest clearances are considered to be major irritants to auction mines. To overcome them, the central government is considering an option to extend the validity of the expiring mining leases by three years. The onus will be on the new owners to renew the extended clearances,” said a source in the know. A total of 288 mineral blocks are lapsing by March 31, 2020. Of this, 59 are working mines. The lease validity of these assets was extended till that period after an amendment was made to the Mines and Minerals Development & Regulation Act. Goa has the most number of mines, at 160, that are headed for expiry. Karnataka and Odisha, with 45 and 31 mining leases, respectively, come next. On the sidelines of the recent International Conference on Aluminium (INCAL) 2019, Union mines minister Narendra Singh Tomar had said his ministry is on track to auction the mines lapsing by March 2020. Mineral-bearing states who dragged their feet on auctions of the lapsing blocks have been getting repeated reminders from the Union ministry of mines to prepare the roadmap for a transition. These states are scrambling to prepare blocks lapsing by March 31, 2020, for auctions. The urgency to ready the mineral blocks for auction stems from the recent notification of the Draft Mineral Concession and Development- MCDR (Amendment) Rules, 2018 by the Government of India. The MCDR is proposed to be amended to draw the roadmap for exploration so that the blocks can be auctioned before their validity ends. This is being done to ensure that production of key minerals like iron ore, manganese and chromite is not severely impacted due to the expiry of the leases. The operative mines due to lapse by March 2020 are made up mostly by iron ore mines. Together, these non-captive iron ore mines have an approved annual capacity totalling 85 million tonnes (mt) of which Odisha alone accounts for 66 mt. Odisha, the country’s largest iron ore producer, aims to make 25 lapsing iron ore mines eligible for auctions by March 2019. The state has currently 29 operative iron & manganese ore mines. As per the amended Mines and Minerals (Development & Regulation) Act of 2015, the merchant mining leases across the country were granted extension in their operations till March 31, 2020. Among other factors, the leases have be to be explored up to the G2 level as demanded by Mineral Auction Rules of 2015 and data on residual mineral deposits have to be compiled by the leases. Two central government agencies- Geological Survey of India (GSI) and Mineral Exploration Corporation of India (MECL) are tasked with mineral exploratory work. The respective state directorates of mining & geology can also embark on the exploration job with assistance from MECL or GSI. “We have made significant strides in making our lapsable blocks ready for auctions. 25 of the 29 operative iron ore mines will be fully geared up for auctions by March 2019. We are keeping the mines ministry informed on the steps being taken and awaiting their directions to prepare the ground for auctions”, said an Odisha government source. 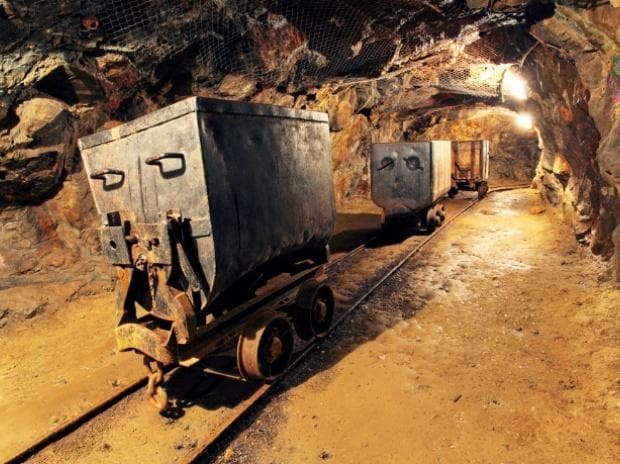 Major mining leases in Odisha lapsing by March 31, 2020 include the ones held by Rungta Mines, KJS Ahluwalia, Serajuddin & Company, Kaypee Enterprises, Kalinga Mining Corporation, Mid East Integrated Steel Ltd, KN Ram, RB Das, Tarini Prasad Mohanty, KC Pradhan and Lal Traders.